RAK Ceramics, one of the world’s largest hi-tech manufacturers of lifestyle ceramics solutions, was named “Editor’s Choice” at The InsideOut Awards 2016, an annual event recognising manufacturers and suppliers that create inspirational home interiors. On the win, group CEO Abdallah Massaad pointed out that the company has 25 years of ceramics’ expertise under its belt and its products feature in some of the most iconic buildings in the world. "We are known for our wide product range and our ability to produce bespoke ranges for both small and large-scale projects, enabling our clients to bring their ideas to life," stated Massaad. "Technology and innovation are at the heart of our philosophy and we have continuously led the way in terms of product innovation. We are delighted to receive an award that recognises all of these achievements. In 2016, we will continue to release even more designs across tiles, sanitary ware and faucets that are smart, stylish and innovative," he added. 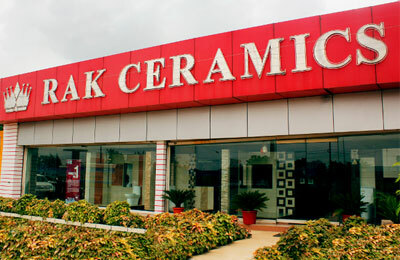 According to him, RAK Ceramics received the award for its successful commercial and aesthetic evolution. In 25 years, the company transitioned from a small enterprise based in Ras Al Khaimah to a multinational corporation, he added. The awards were organised by InsideOut, a leading UAE-based interior design magazine showcasing local and international homes and high-end commercial design.